Overhead travelling crane with grab is one of the most common cranes used in the industries, and its lifting device is suspended on a trolley or an electric hoist which runs along the beam. The bridge beam is directly supported on the track through the running device. 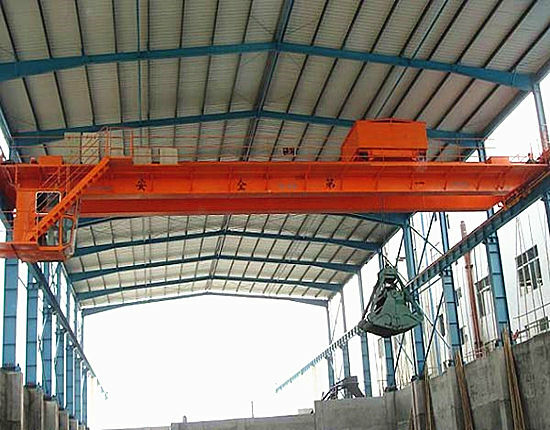 Overhead traveling crane is widely used in the indoor warehouse, factory, and storage yards to load, unload and transfer materials. 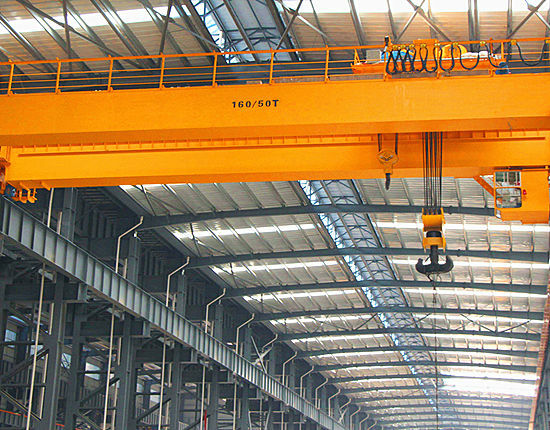 Overhead travelling cranes are available in different types. 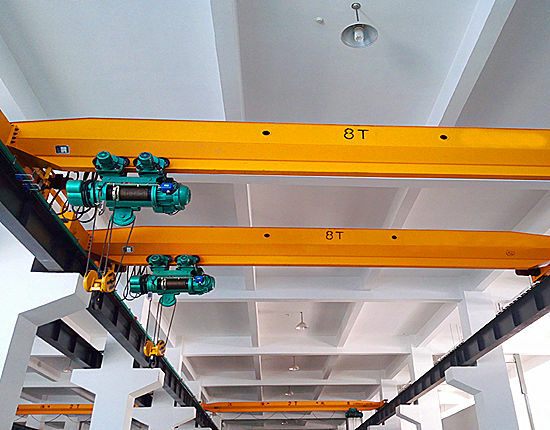 For instance, according to the number of beams, the crane can be divided into single girder overhead travelling crane and double girder overhead traveling crane, while according to the application, explosion proof overhead traveling crane, magnetic overhead crane, foundry crane, etc. are available. With so many types of cranes, customers can choose based on their own needs. 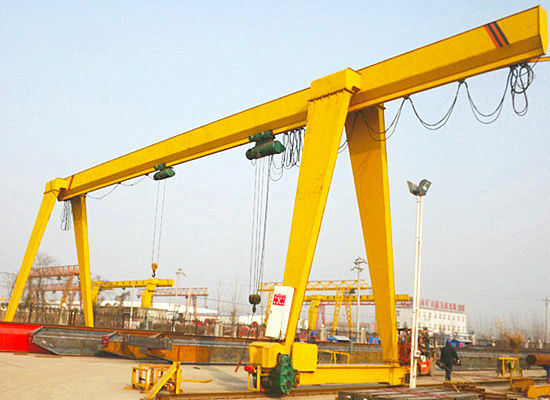 Here, we highly recommend a kind of crane, overhead traveling crane with grab for specific use. This overhead traveling crane has high working class, widely used for loading and unloading of loose and bulk materials in workshop, power station, freight yards, etc. 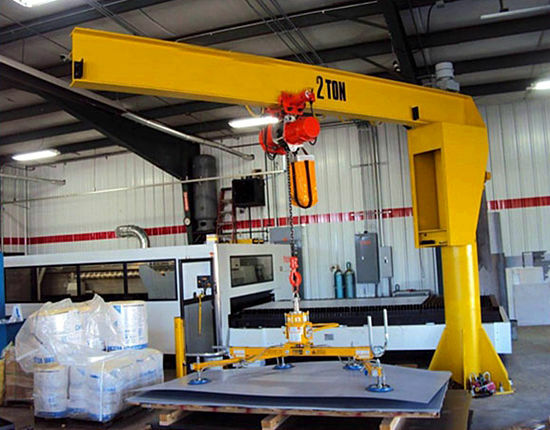 Different from ordinary overhead crane, this type of crane uses grab as its grabbing device. The overhead travelling crane has advantages of high performance, easy operation, high safety, low operating and maintenance costs. We mainly supply two kinds of cranes, LDZ single girder overhead crane with grab and QZ double girder overhead crane with grab. 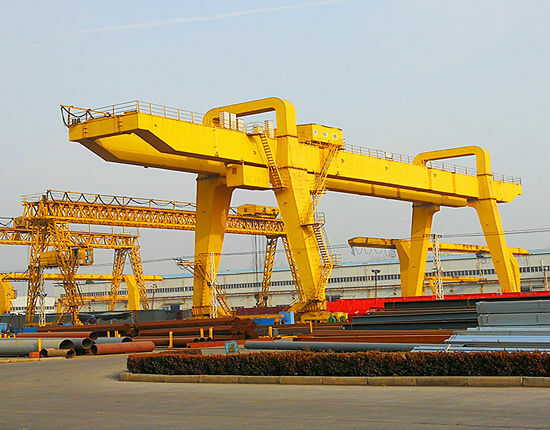 Developed from LD type overhead crane, the LDZ type overhead travelling crane is equipped with grab hoist trolley for grabbing all kinds of loose materials, such as coke, slag, iron ore and other industrial bulk materials. It cannot be used in flammable, explosive and corrosive environment. 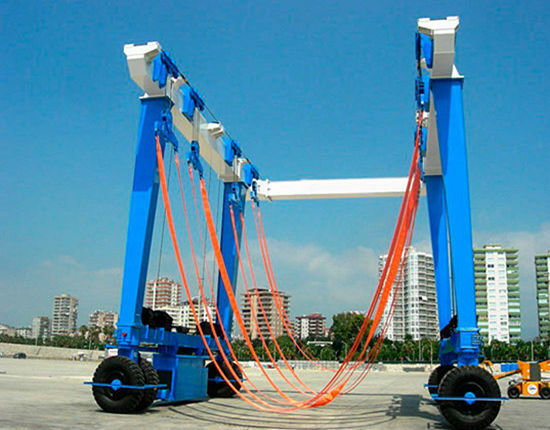 In this crane, two electric hoists are combined in a trolley, of which one is used to lift materials up and down, and the other is used to open and close the grab. Compared with LDZ type, the QZ overhead traveling crane is stronger for its higher working level, higher lifting speed, faster operation and higher working efficiency. 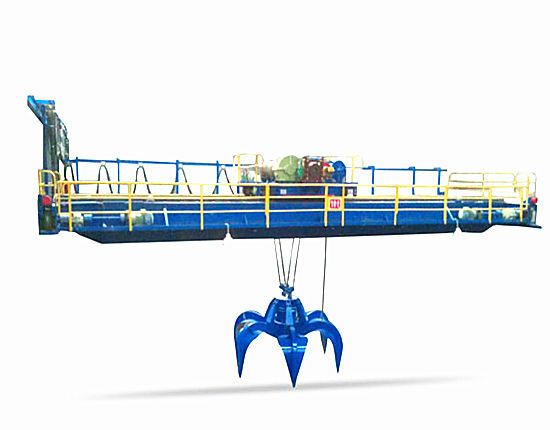 This crane is usually equipped with four-rope grab suitable for grabbing bulk materials under natural accumulation. When used for grabbing underwater materials or special materials, the equipment must be specially made. Besides, hydraulic grab or electric grab is in option according to customer’s requirement. The basic conditions for ensuring a full grabbing are suitable grab type and size, and sufficient grab weight. 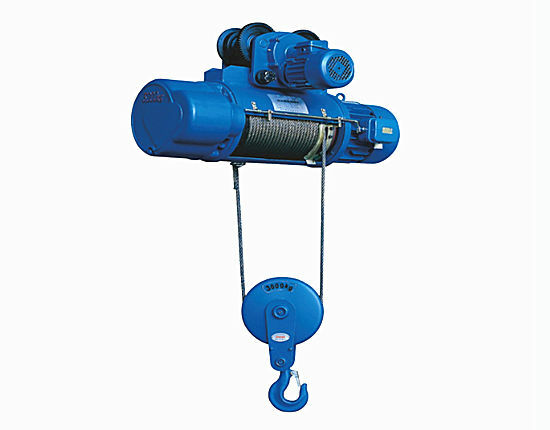 According to the characteristics of the materials being grabbed, grabs are usually divided into four types: light, medium heavy, heavy and especially heavy. 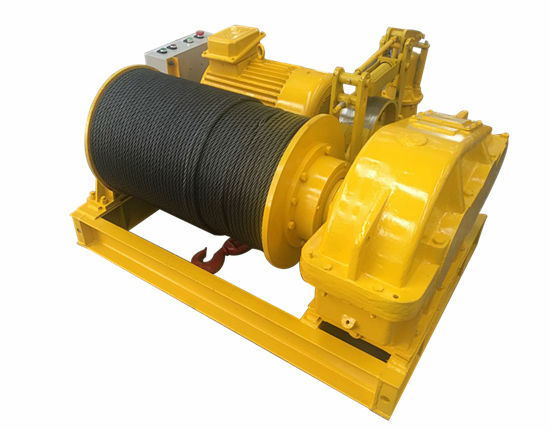 As for the grab weight and material weight ratio, the weight of medium heavy grab is approximately equal to the material weight, and the weight of light grab is smaller than the material weight, whereas the weight of heavy grab is greater than that of the material. For different types of grabs, the corresponding parameters and structures are different. Double-jaw grab is suitable for grabbing particles and powdery materials, and when used for grabbing materials with particle size greater than 100mm or solid materials, the grab jaws should be toothed. Multi-claw grab with six jaw plates is suitable for grabbing materials which the double-jaw grab has difficulty to grab, such as large chunks of ore, aluminum ingots, iron scrap and steel scrap. 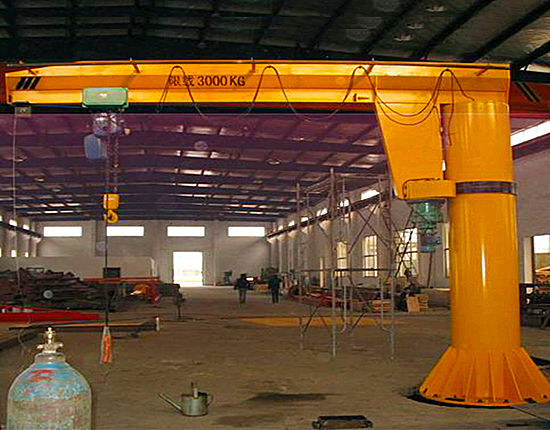 How to Use Overhead Travelling Crane with Grab? The overhead travelling crane mainly consists of bridge beam (main beam and end beam), grab trolley, crane running mechanism, electric control system and the cab. 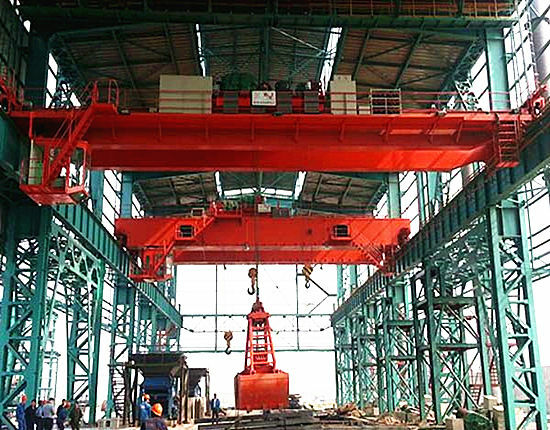 The crane has opening and closing mechanism and lifting mechanism, where the grab is suspended on by four wire ropes. The opening and closing mechanism drives the grab to catch the material, and after the grab is closed, the lifting mechanism starts to work immediately to lift materials. When unloading material, only the opening and closing mechanism is in operation. 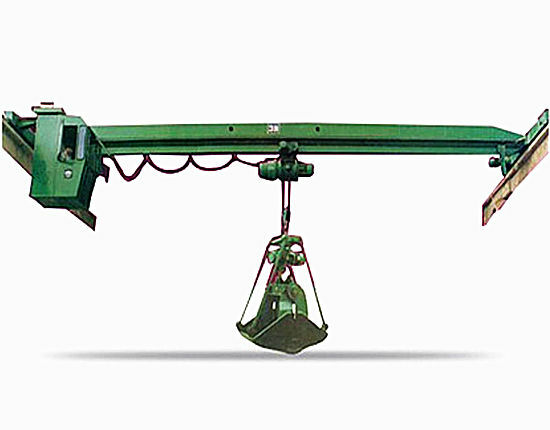 This type of crane is basically the same with overhead crane with hook, except for the lifting mechanism. For the overhead traveling crane with grab, all the operations should be implemented in the cab room. The operator must be technically trained and obtain professional certificate, and strictly follow the operation procedures. When grabbing the material, the grab must be operated in the vertical direction. Oblique lifting is not allowed. And also the grab cannot be used to pull the material. In addition, some other safety issues should be paid attention to in order to ensure safety operation. Our overhead travelling cranes are directly supplied by our factory at competitive prices. For decades, Ellsen has been dedicated to provide comprehensive lifting solutions. 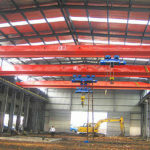 We have a professional technical team consisting of several excellent engineers with rich experience in crane design. Through learning advanced designing concept and technology, we are highly capable of providing perfect overall solutions to our customers based on their needs and actual conditions so as to ensure that every solution is tailored to the customer’s requirement for crane safety and economy. We have advanced processing equipment, excellent management model, and strict quality control system. All the raw materials and components we purchase are under strict quality control. Every processing flow is controlled under strict design standard and quality requirement. Our factory handles all the equipment design, manufacturing, packaging, shipping, installation and acceptance, and provides perfect pre-sale, sale tracking and after-sale services. 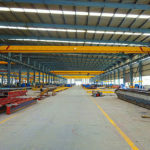 Our goal is to constantly provide high quality products and full service to reward customers’ trust in us, and we always strive to offer cost-effective overhead travelling cranes in compliance with customer’s requirement. 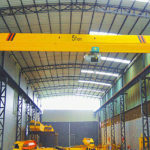 For details on our overhead cranes, just feel free to contact us without hesitation.